I got this idea from a post on Craftblog at the beginning of March. 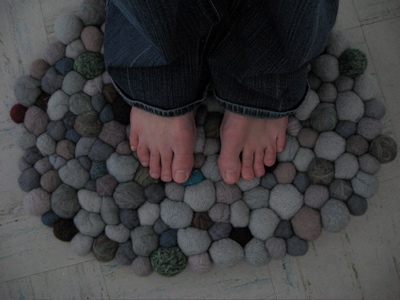 They featured a rug made with felted "stones". 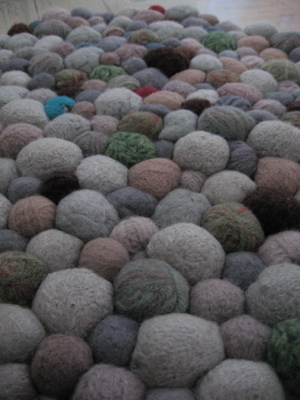 I started making balls out of my stash of leftover wool. (You know that stash of wool you can't bear to part with but don't have enough to actually knit/crochet a whole project?). 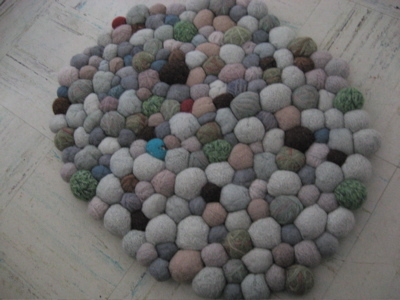 I used a combination of hand and machine felting, and sewed the stones together by hand with a nylon twine. 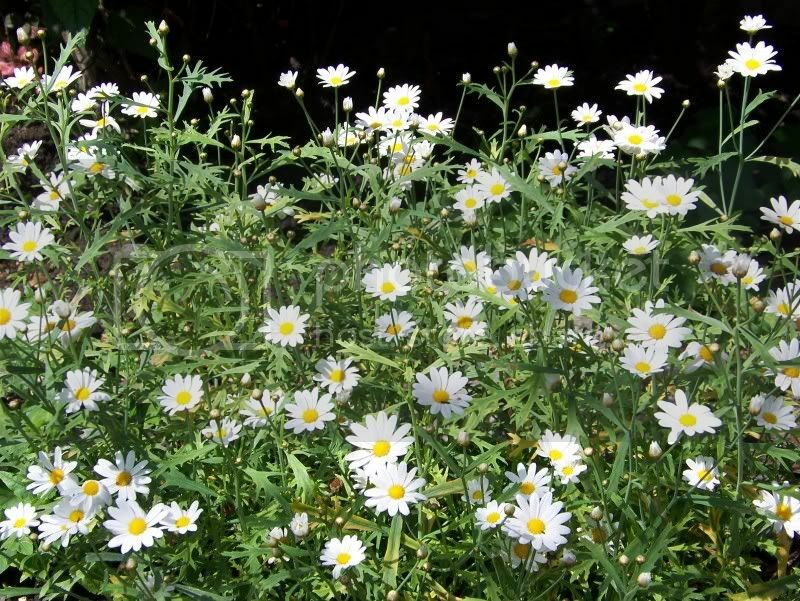 It's sturdy, cushy and feels so good under my feet. Pity it's a gift for my friend... I may just have to make another. awesome! at first i thought it was real stones glued onto something, but it's better this way b/c then you can put it inside. i love it. This is definatly added to my 'must copy' list! but man was it rough." That is so awesome! I love it!! I love this! You have a very lucky friend! My craft blog: One Pearl Button. I totally thought those were real stones when I saw it first...I love how you did that, it's so creative! Wow! What an amazing idea! That looks fantastic!